Want to Insert Your Own Content on Any Web Page? Ever wish you could insert your own instructional content onto web pages to help guide students through the material? Ever wish you could make your own Google Docs more engaging through multimedia? Check out the Chrome extension “InsertLearning,” which you can learn about here. The creators also have a robust YouTube channel with tutorials and webinars showing many different ways to use this extension with Google apps and with PDFs. Kasey Bell at Shake Up Learning has a wonderful article with examples of her use of it here. Jeremy Tuller has created a quick video overview you can check out here. And of course, if you Google it, you can find more examples, tips, and tricks. InsertLearning has Google Classroom integration, but you do not need to be a Google Classroom user to use it. I confess, I have not had a chance to try this out myself! But it’s on my list. The program allows you to test drive it five times for free. After that, use costs $40 a year for unlimited lessons. Posted on February 28, 2018 Categories EducationTags engagementLeave a comment on Want to Insert Your Own Content on Any Web Page? 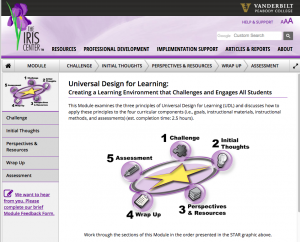 I will confess I didn’t know what Universal Design for Learning meant. And it sounded a little suspicious to me. I’m not sure anything can be designed to work universally. As a creative writing professor, I know that we run into trouble when we try to write something that will please everyone. Usually we wind up pleasing no one, for a variety of reasons. So I enjoyed listening to this short episode of the 10 Minute Teacher podcast: “Throw Out Learning Styles and Replace It With UDL.” I’m a fan of the Cool Cat Teacher blog which produces this podcast. I’d just like to introduce you to Universal Design for Learning, and the terms, Access, Engage, and Express, that really represent the principles of Universal Design for Learning. It’s really based on the neurosciences and how we learn. Want to learn more? Check out the podcast. How might UDL impact your pedagogy, both in the classroom and in digital environments? I’ll have more resources (and an example) on this topic next week! Imagine having a static image–a map, a chart, a graph, an infographic, a poem, almost anything–which you then overlay with clickable points which students can choose in order to access more information about a particular aspect of the image. Or imagine asking students to create such images for each other as teaching aids, assessments of knowledge, or paper-alternative research projects! The possibilities for how you might incorporate such ideas are endless. The project could be as simple or as complex as you want it to be. And the only thing you really need to know is how to add hyperlinks to images using Google Drawing. This video by Richard Byrne, curator of Free Tech for Teachers (one of my favorite sources for interesting ideas about using technology in the classroom), shows you in under four minutes how you can do this. Plus, it features the world’s largest buffalo! Who can resist that? Once you see how it works, the possibilities for how you or your students might use it are really endless. What is it and how can it help you become a better instructor in online and blended learning environments? Redundant material interferes with rather than facilitates learning. Redundancy occurs when the same information is presented concurrently in multiple forms. 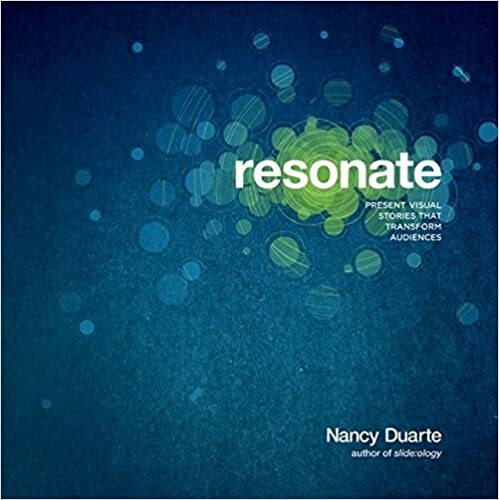 Check out this source, “The Redundancy Principle in Multimedia Learning” for more. This means, for instance, that if you put written text on a screen during a presentation and then read that text as part of the talk or narration, redundancy occurs and it actually hurts learning! Does that surprise you? It did me, the first time I encountered it. I believed–as do many other teachers–that putting text on a screen and reading it provides multiple inputs and is better for reaching more students in more ways. But research shows that is not true! In fact, this practice results in information overload that inhibits learning. The best practice: combine audio narration with visual images! Use bits of text as visual elements in a slide.